A NEW contract for domestic workers will be enforced from October 1, it was announced. Under the revised rules, employers seeking to hire a housemaid will have to compulsorily declare, among other things, the nature of the job, working hours and weekly day off. 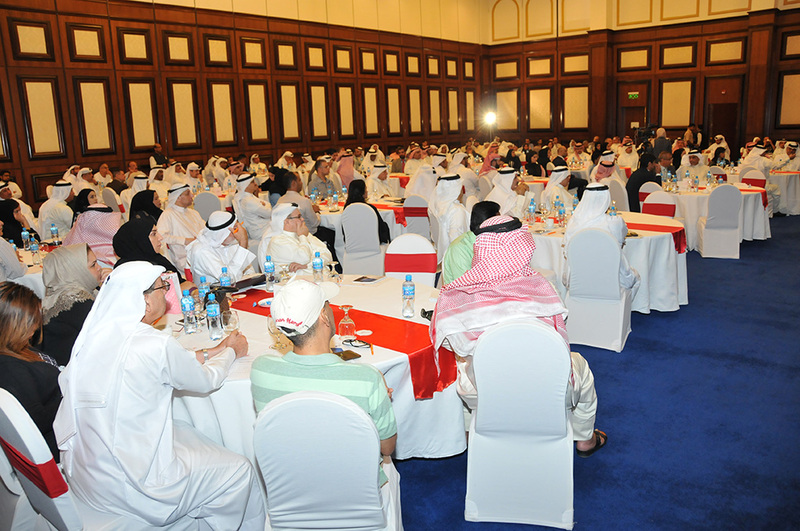 Labour Market Regulatory Authority (LMRA) held consultations over the document with representatives from nearly 70 recruitment agencies at the Crowne Plaza Bahrain yesterday. The GDN reported last week that the new contract was scheduled to be introduced yesterday but it is understood that the LMRA wanted to consult with all the stakeholders before going ahead. “The contract ensures a transparent process by documenting details such as duties of the housemaid, number of children in the house, people with special needs or those needing geriatric care,” said LMRA chief executive Ausamah Al Absi. For the first time in Bahrain, a domestic worker will have a job offer stating all the terms and conditions which he or she can reject or accept in his or her home country. Mr Al Absi said the first stage of enforcing the new contract will cover housemaids recruited through authorised recruitment agencies; the second stage will cover direct recruitment by the employer. The new document has a section where employers need to state the number of family members, accommodation for housemaid, children under 12 years, if any, and number of special needs members in the household. In addition, employers should list the services they are seeking from the worker including cleaning, washing, education, providing care to the elderly, driving and taking care of pets. Daily working hours, weekly day off (including inside the household) should be declared by the employer, who should also express a preference to hire a maid who can speak Arabic or English. Wage receipts or bank transfer details should also be provided to the worker, along with compulsory vacation (30 days’ paid leave) during the two-year contract. “This is a comprehensive contract and we will seek feedback from recruitment agencies before enforcing it by October 1. Mr Al Absi said recruitment agencies in the worker’s home country will translate or explain the job description and conditions. He said the new contract will also help reduce cases of runaway housemaids, who often ended up in illegal activities. The GDN previously reported how police had uncovered a number of gangs operating in Manama that forced runaway housemaids into prostitution. Domestic workers form nearly seven per cent of Bahrain’s total population, according to the LMRA indicators. A total of 99,417 domestic workers (including 75,305 females) were employed in the first quarter of this year, compared with 93,891 until the end of March last year. This entry was posted in Gulf Daily News and tagged Ausamah Al Absi, authorised recruitment agencies, domestic workers, housemaid, photo by Labour Market Regulatory Authority. Bookmark the permalink. I really appreciate the initiative towards domestic workers that for the first time in Bahrain, a favorable domestic worker will have a job offer stating all the terms and conditions which he or she can reject or accept in his or her home country. Bahrain will now have a bunch of good quality workers and also people will be more than happy to come and work in this Kingdom of Bahrain. I salute the brain-work behind this amazing initiative and extend my warm wishes to LMRA chief executive Ausamah Al Absi for this human consideration and efforts to give the actual rights to the domestic workers. This is a good decision for domestic workers… thanks to lmrabh. Good morning sir/madam: what if the employer did not give day off as stated in the contract? By January 2018 my 2 years contract will finish but I haven’t experienced day off. I want to apply for other work after I finish my contract but my employer cant give release coz he said they have to pay 1000bd for my release. If i finish 1 yr.of my contract and go hone to the philippines? a questionnaire should’ve been given to public to discuss those issues too. should discuss the if she ran away & worked some other places will not pay for her leave ticket. I am Roton Ali from Bangladesh.I want a work visa.Please help me to offer this visa. Kindly you should find an employer to apply for you new work permit. HI..I JUST WANT TO KNOW IM WORKING 17 YEARS WITH MY EMPLOYER CAN I HAVE ENDEMNITY? Please am Ghanaian and want you to help me to come to Bahrain and work. So please kindly send me the information about it. Hope to hear from you soon. Thank you and bye. Does domestic workers are eligible for indemnity ?